This one is worth trying at least once… its pretty awesome. As is it tastes like A Camel crush uncrushed.. with the blue capsule crushed it tastes like a camel activa/activate or activa white…for anyone who isnt familar with activa thats the equivalent of the camel crush in certain countries including mexico and many countries in europe. It has a better more natural minty menthol taste and is very good. The red capsule adds like a cherry flavor. Its sweet but not overbearing… it blends well and actually goes very good with the menthol. I could keep going but ill just say if your reading this then your probably interested believe me despite the price its worth trying at least once… im buying at least two more packs with my next order; one for me, and one for my brother. You can pick cherry which is a sweeter not so much menthol taste along with a light camel blend of tobacco. 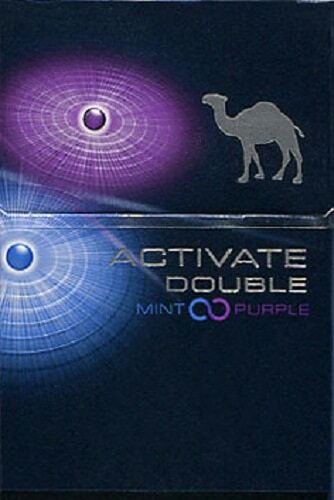 Distinctive camel taste comes thru slightly even when both capsules are popped. Enjoy different combinations with this cig.